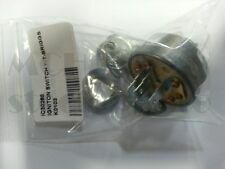 This is a new Case/Ingersoll part number C30268. This switch has a position for off, start, run, and run/head lights. This is a new Case/Ingersoll blade kit. It fits J46 LH Mower Decks. The center blade is about 16" with a 1/14" center hole. 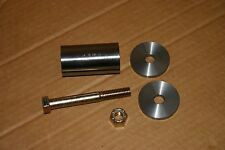 Up for sale we have 1 Original New Improved front axle pin kit for the Case Ingersoll lawn tractors. This will fit Case Ingersoll lawn tractor models If you have a lot of play in your steering on your tractor, than most likely your front axle is moving around between the two mounting plates that hold it. This housing will fit almost all Case and Ingersoll decks. 4 bolt pattern. The Brns are still in it, they are still useable. Still good to use if one wants to put the aluminum one back on there deck. 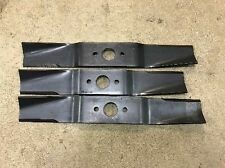 Blades for all RM48 and AHRM48 mower decks. Replaces Case Ingersoll C13572. YOU ARE BUYING A BALL HITCH ADAPTER THAT FITS CASE/INGERSOLL F27,J&K24 AND J&K22 TYPE SLEEVE HITCHES,THIS WILL ACCEPT ANY DIA. BALL WITH EITHER A 3/4" OR A 1" DIA. SHANK.THE MACHINED HOLE IS 1" DIA. If yours are cracked or missing, these will solve the problem. 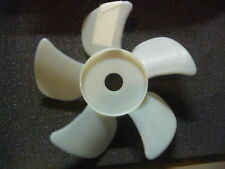 This is a Case/Ingersoll Clutch Fan part number C16616. YOU ARE BUYING A SET OF EZ STEERING BEARINGS FOR CASE/INGERSOLL 200 AND 3000 SERIES TRACTORS. THESE ARE INSTALLED BETWEEN THE AXLE AND THE SPINDLE PLATE AND REPLACES THE OEM (BOTTOM ONLY) FLAT THRUST WASHER, THE TOP OEM THRUST WASHER IS NOT REPLACED. This is the latest edition available from kohler, rev. May 1982. This will fit Case Ingersoll lawn tractor models Used hydraulic oil cooler removed from a 1981 Case 448 lawn tractor. This is in great working condition. This is the nice heavy duty steel cooler, not the cheap aluminum units. The New Improved Axle Pin for the Case Ingersoll two wheel drive loader tractors are finally here. This includes tractor models 644 646 648 6018 6020. 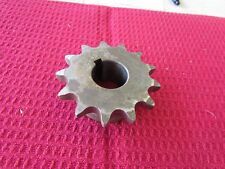 Up for sale we have 1 Original New Improved front axle pin kit for the Case Ingersoll two wheel drive loader tractors. Case Ingersoll 444 Tractor Information Model - 444. Complete tractor is not available for sale. Local pickup is available. Engine - Kohler K321 - 14HP. Used starter for Onan B43M B48M engines in the three digit Case Ingersoll lawn tractor. This is in good working condition. May fit others. Look at yours to make sure this will fit before purchasing. Used Ingersoll 446 Garden Tractor, Hydro Transmission Gear SET, Cleaned, Shows Minor Wear Of A USED Part. Ready To Use. Check out all My pictures. PARTS REMOVED FROM TRACTOR SHOWN IN LAST PHOTO (COMPLETE MOWER NOT FOR SALE). YOU ARE BUYING ANEW POWDER COATED-POWER GLOSS RED FRONT AND REAR WEIGHT MOUNTING BRACKET SET. THIS ACCEPTS AS MANY AS 5 OF THE JOHN DEERE STYLE 42# SUITCASE WEIGHTS. LOOK AT THE PICTURES. 5-42# SUITCASE WEIGHTS. YOU ARE BUYING A NEW CASE/INGERSOLL PTO CLUTCH PLATE, THIS FITS ALL KOHLER ENGINES WITH BOTH SHIM AND EZ ADJUST PTO CLUTCHES. THESE WERE DISCONTINUED FOR AWHILE AND HAVE BEEN PLACED BACK IN PRODUCTION BY INGERSOLL ( EASTMIND ). Used Ingersoll 4016 Garden Tractor, Steering Wheel, Removed in working order, Shows Minor Wear Of A USED Part. Ready To Use. Check out all My pictures. PARTS REMOVED FROM TRACTOR SHOWN IN LAST PHOTO (COMPLETE MOWER NOT FOR SALE). CASE C28971. TWO NEW mower deck spindle BEARINGS. WE ARE THE "GO TO" PLACE FOR YOUR PARTS! Bin location = 45-295 (x2). I AM THE "GO TO" GUY FOR ALL YOUR PARTS. FEEL FREE TO CALL RANDY OR KRISTAL DUNCAN! This is the latest edition available from kohler, rev. 1992. CASE/Ingersoll 222 224 444 Hydraulic Lift Cylinder in Good Used Condition. This was removed from a working 1976 Case 222 Garden Tractor SN. 9723568. See Photos Will be packaged with care and Ships Fast! Case Ingersoll Early style hydraulic lift assembly, everything you need to convert your Armstrong lift early Case to Power lift. Cylinder is pitted on end, but may clean up. Hoses are usable but not real good shape. Case Ingersoll 448 Tractor Information Model - 448. Complete tractor is not available for sale. Local pickup is available. Engine - Onan B48M-GA018/3631A - 18HP. Case Ingersoll mower deck belt # C22707 J44 K44 L44 M44 "US Seller"
REFER TO PART NUMBER C22707. J44, K44, L44 & M44. Fits hte following series mower decks BIN LOCATION = dpc. WE ARE THE "GO TO" PLACE FOR PARTS! I'LL DO ALL I CAN TO FIND YOU WHAT YOU'D LIKE TO SEE LISTED! Replaces Warner 5215-108, C33197 C47443 Case Ingersolol Rand Jacobsen New Holland. To ensure this part goes with your machine you should always go by the model number and serial number, which is normally found under the seat of your riding mower or on the deck on a walk behind. 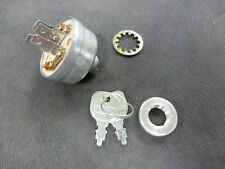 This is a Ingersoll Pto Clutch Pulley Kit Part Number C31045. THIS INCLUDES 1 TOP LINK, 2 STAINLESS STEEL CLEVIS PINS AND 2 ZINC PLATED HITCH PINS. YOU ARE BUYING A CAT 0 TOP LINK FOR CASE/INGERSOLL F27 AND HH34 SLEEVE HITCH ADAPTERS WILL FIT OTHERS NEEDING A CAT 0 TOP LINK. Up for sale we have 2 Original New Improved front axle pin kits for the Case Ingersoll lawn tractors. 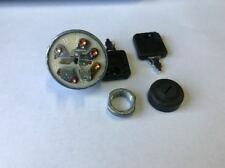 One pin kit for Case Ingersoll models: 644 646 648. This will fit Case Ingersoll lawn tractor models. Based on the part #, this will fit the following models: 220, 222, 224, 226, 444, 446, 448. No exceptions. We carefully wash every part that can safely be washed, oils are drained, and loose parts are carefully attached to larger parts.